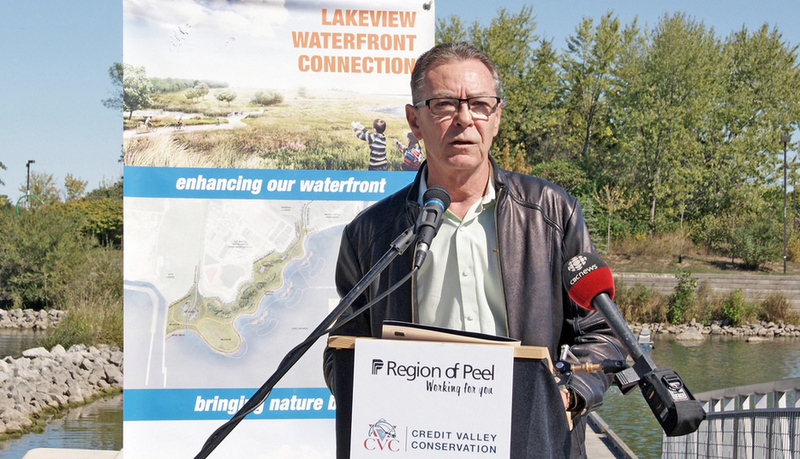 January 16, 2018 (MISSISSAUGA) – Credit Valley Conservation (CVC) expresses its deep condolences on the sudden passing of City of Mississauga and Region of Peel Councillor Jim Tovey. Councillor Tovey served on Credit Valley Conservation’s Board of Directors‎ since January 2011. He championed the redevelopment of the Port Credit and Lakeview shorelines and was the driving force behind the Lakeview Waterfront Connection project. His unique connection with the City of Mississauga, Region of Peel, Credit Valley Conservation and Toronto and Region Conservation served to bring the organizations together to partner on the development of a new 26 hectare waterfront conservation area. Flags at CVC’s administrative office will be flown at half-mast. Credit Valley Conservation (CVC) is a local conservation authority established by the Ontario government in 1954 to protect, restore and enhance the natural environment of the Credit River watershed. That watershed is the area of land defined by where all rainfall, snowmelt and runoff drains into lands and waters flowing into the Credit River. CVC creates connections between people and nature, knowledge and action. It inspires a deep appreciation for the role of nature in keeping people connected, healthy and happy. CVC is a member of Conservation Ontario. Photo: Councillor Jim Tovey leading the kickoff ceremony at the start of construction of the Lakeview Waterfront Connection (September 2016) – a 26 hectare conservation area being constructed on the Mississauga waterfront. 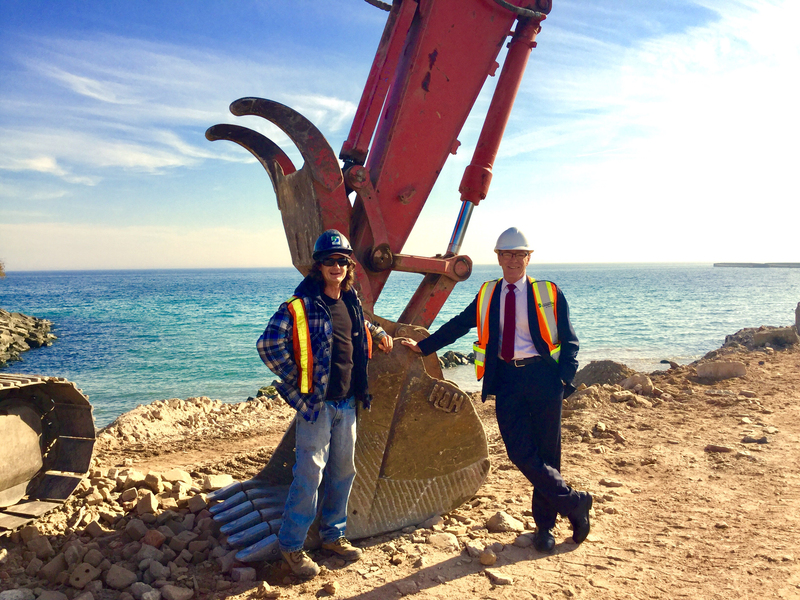 Photo: Councillor Jim Tovey on-site as first load of rubble is placed to construct Peel Region’s new waterfront conservation area. Left to right: Andy Brown, Heavy Equipment Operator; Jim Tovey, Councillor, Mississauga Ward 1.